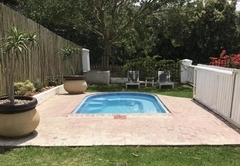 Aan De Bergen Guest House is one of the Swellendam guest houses and provides accommodation in 7 guest rooms for tourists visiting the Cape Overberg region. 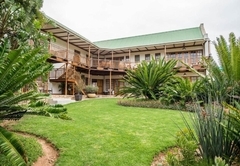 Set on the grounds of a rare plant nursery in the town of Swellendam, Aan de Bergen Guesthouse provides accommodation in luxury en-suite bedrooms. 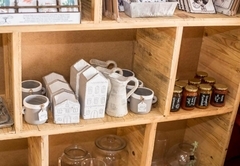 They offer a warm, inviting atmosphere where attention to detail is abundantly clear. 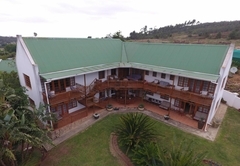 The B&B rooms include DStv and a tea and coffee station. 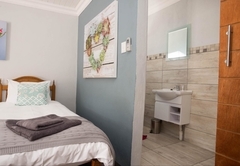 Rooms have a private entrance and the establishment has a living room with DStv where you are welcome to relax with coffee or even a glass of wine. 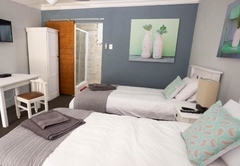 The spacious room has a Queen-size bed and an en-suite bathroom with bath and shower. This room has two three quarter beds and en-suite bathroom with a shower. Our petite room is ideal for a single traveler. 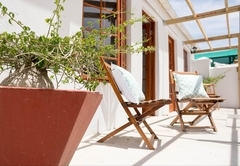 Furnished with a single bed the room has an en-suite bathroom with a shower. 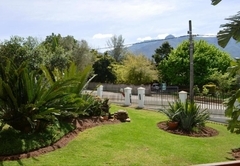 This upstairs room is ideal for a person who wants the best view on the mountain range. It has a double bed and en-suite bathroom with bath and a separate shower. This beautiful room has two single beds and an en-suite bathroom with a shower. This room includes self catering kitchen. A delicious breakfast is included in your rate and will be prepared for at your requested time in the morning. 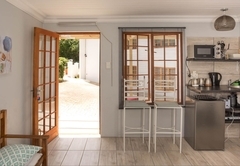 The country kitchen is equipped with appliances that is perfect for creating your own fabulous meals which you can enjoy on the patio overlooking the mountains or in our elegant dining room area. 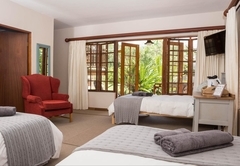 This spacious room has 2 three quarter beds, en-suite bathroom with shower. Room can be adapted for 2 children or additional adult that is staying with you. 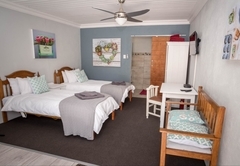 Room facilities include flat panel satellite television (DSTV) and a coffee and tea station. Our petite room is ideal for a single traveller but still wants to enjoy our establishment. It has 1 single bed, en-suite bathroom with shower. Room facilities includes a coffee and tea station. This room has a private entrance. 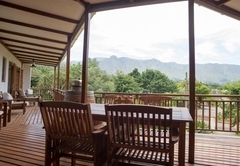 Our upstairs room and ideal for a person who wants the best view on the mountain range. It has a double bed and en-suite bathroom with bath and a separate shower, an electric blanket and a tea and coffee station. Has a private entrance. DSTV and fee Wifi. 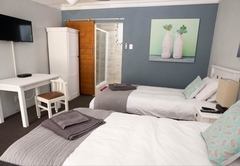 Beautiful room with 2 x single beds and en-suite bathroom with a shower. 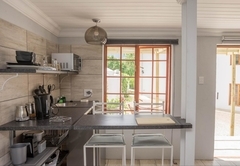 This room includes selfcatering kitchen. Has a private entrance, Flat screen TV, DSTV, Free Wifi. 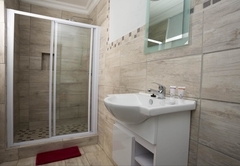 Beautiful room with a double bed and en-suite bathroom with a shower and a bath. 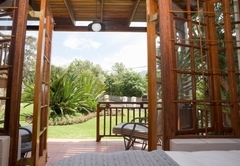 This room has a beautiful mountain view, a private entrance, flat screen TV, DSTV and Free Wifi. Response timeAan De Bergen Guest House typically responds to requests in 5-10 minutes.